An ancient symbol found carved into the lintels of the earliest synagogues, the pomegranate has carried with it the concepts of Judaism for generations. In the Torah, the pomegranate is one of the seven species that the spies saw in the land when they were sent for by Moses. The Midrash tells us that the pomegranate has 613 seeds, which corresponds with the number of mitzvot or commandments found in the Torah. The pomegranate has been woven into ancient fabrics and hammered into ceremonial silver and gold objects. The intricate covers for the handles of the Torah scrolls are called "rimonim" or pomegranates. 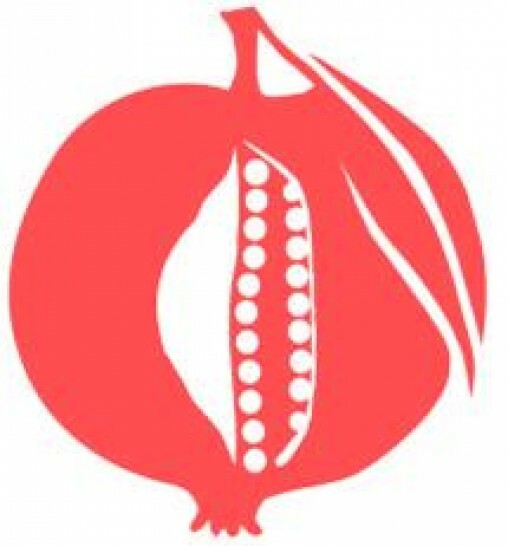 To qualify for the Pomegranate Pin, women must donate $1,800 or more to the Jewish Federation's Annual Campaign. The pin is designed to be used for 10 years. Each year, you will qualify for an additional "seed" or ruby by adding to your pledge. A woman currently making a gift of $1,800 or more to the Federation's Annual Campaign for Jewish needs can at any time endow her gift in perpetuity. An endowed Pomegranate woman's pin will then be draped with gold-toned leaves, signifying her commitment to the continuation of Jewish life. GIFT OF CASH/ASSETS - An outright gift of cash or appreciated assets like stocks, bonds, or property is the easiest way. BEQUEST - A simple bequest in a will is the most common technique for creating a POME. GIFT OF LIFE INSURANCE - A gift of a life insurance policy is particularly appealing for younger donors because of its reasonable cost and tax benefits. GIFT OF IRA OR PENSION PLANS - IRA and pension plans are subject to high taxes when left in your estate. This makes them ideal for transfer in whole or in part to a charity to create a POME. CHARITABLE INCOME PLANE - A Charitable Remainder Trust or Charitable Gift Annuity offers life income payments with the benefit of a current tax deduction. The remainder of the trust or annuity can be dedicated to create a POME. More than a beautiful piece of jewelry, the Pomegranate pin is a symbol of a woman's commitment to and compassion for the Jewish people. The program represents the best of what Federation does - bringing together like-minded donors to do a world of good. A woman's pin shines a little brighter each time she increases her pledge. Each step brings her closer to becoming a Lion of Judah. Pomegranate women will share a special connection with Jewish life for years to come. The most successful development vehicle of all time.